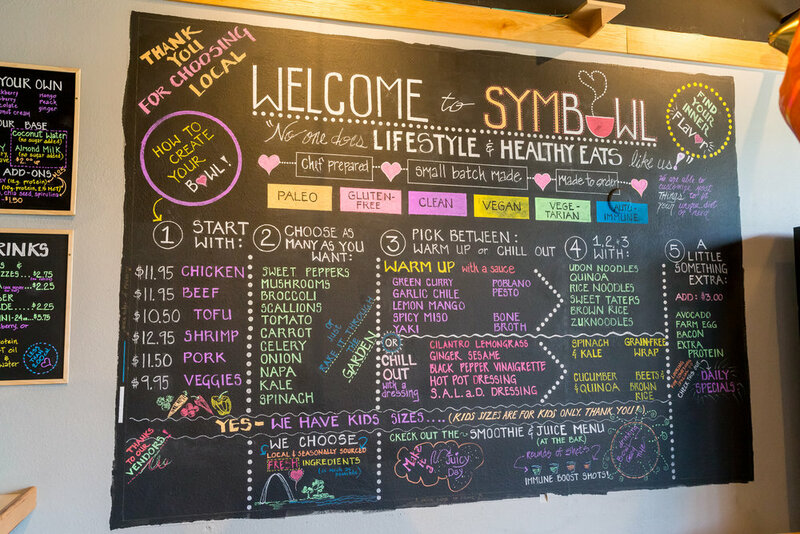 The underlying premise of SymBowl and The Inner Flavor Sauce Co. has always been to offer clean, simple, and delicious food in a way that benefits as many people as possible. Choosing a sauce or dressing shouldn’t be a seek and find adventure just to avoid chemicals and artificial ingredients. You can trust that we are always working towards providing honest foods without hiding what is in each package. We choose to use the fewest possible ingredients, labeled in simple, easy-to-recognize language. We believe good food should be good for you! Bring fresh, from-scratch, specialty sauces and dressings to your clients. Our Original BBQ is SHAPE ReClaimed™ Certified and made from roma tomatoes, red apples, apple cider vinegar, sea salt, garlic, onion, paprika, pectin, black pepper, mustard seed, cayenne, celery seed, cinnamon, and cumin. Made from apple cider vinegar, onion, horseradish, garlic, dry yogurt, apple, sea salt, lemon juice, mustard seed, pectin, white pepper, tarragon, cayenne pepper, and nutmeg. SHAPE ReClaimed™ Certified, Gluten free, contains dairy in the form of dry yogurt. Ingredients: roma tomato, red apple, apple cider vinegar, sea salt, pectin, garlic, mustard seed, white pepper, cinnamon, clove, water. Ingredients: apple cider vinegar, lemon juice, sea salt, onion, oregano, white pepper, pectin, and lemon peel. SHAPE ReClaimed™ Certified, Gluten Free, Dairy Free, Vegan. SHAPE ReClaimed ™, Gluten Free, Dairy Free, Vegan. Real life taste testers at the SHAPE ReClaimed™ Symposium 2019 in St.Louis. Visit SymBowl, our brick and mortar restaurant, with locations in Kirkwood and Chesterfield Missouri for farm fresh and sustainably sourced bowls, wraps and salads made from whole foods with vegan, keto, auto-immune, SHAPE Reclaimed™ Certified, paleo, and gluten/grain/sugar free options everyone can enjoy.